October « 2013 « great space why? The new central library in my home town just opened. 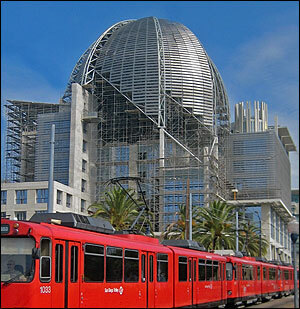 Rising above San Diego’s skyline is now the library’s ninth floor dome. The dome is one of the most iconic structural shapes. The Romans perfected its engineering to solve the awkward roof juncture of square plan to dome. The Romans employed the dome in many civic structures from senate houses to public baths. Rome declined but the dome next became the symbol of the Byzantine Empire, topping Christian cathedrals and becoming the center piece of many city skylines. With the use of innovative material domes increased in size. 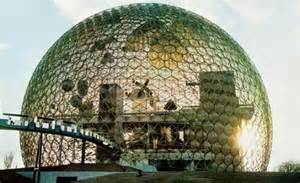 Buckminster Fuller pioneered the geodesic dome, enclosing space with the least amount of materials, as exemplified by the 279-foot in diameter U.S. Pavilion for the Montreal Expo 1967. 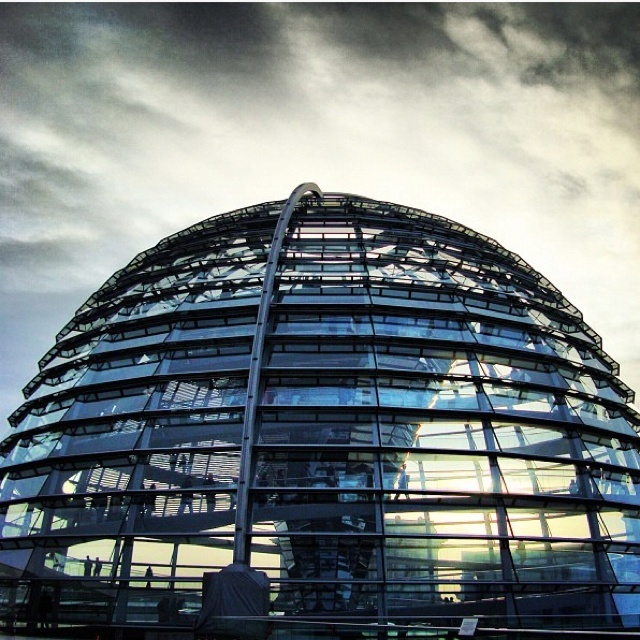 With greater height and width the dome intrigues many modern architects, as used in the new reconstructed Reichstag Building (1999), Berlin by Lord Norman Foster and now San Diego’s Public Library (2013) by Robert Quigley. There are some precedents for domed libraries. One of the earliest was Radcliffe Library (1737), Oxford by James Gibbs. Here in the United States the dome became the republican symbol, harkening back to its Roman roots, over many American capitol buildings. Our own capitol building (1793) in Washington, D.C. is an example. Thomas Jefferson, in particular, incorporated the dome for his home at Monticello and later on the Library at the University of Virginia (1819). So why does the dome create great space? First it is a symbol of innovation and aspirations. It stands singularly on a skyline and seems to reach for more. So fittingly it is used for cathedral, mosque, capitol building, and library. Second, the dome encloses space loosely, expanding up and out. It’s contained and protected space, yet allows infinite perspective; thus, a space for lofty ideas. Who cannot help but always look up?